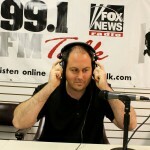 Last week I had the pleasure of being a participant on “State Your Case” of 99.1 Fox News Radio. Eddie Floyd, of Nevada Matters Radio, and Cindy of the Kidder Law Group hosted the show and really eased my nerves with their professional guidance. The show covered thoughts on AB 284, shadow inventory and why the banks are holding properties, atypical appreciation since January 2012 (20%), and the good and bad of government intervention on private markets. A big thanks to Eddie and Cindy for having me on and hopefuly more airtime in the future. Also, if you’re thinking of doing a short sale call the Kidder Law Group first. There are other options that may be a better bet for you. To listen to the recording click on the picture below. 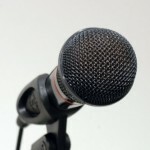 Posted in News and tagged 99.1 fm talk reno radio ab 284, nevada matters radio reno, reno conservative radio, reno lack of inventory, reno real estate blog, state your case reno radio.